Our hand painted custom monogrammed white porcelain personalized baby dish set is a unique baby gift. Each high quality porcelain dinnerware set comes with three hand painted pieces and includes a 7” plate, a 5 ½ “ bowl , and a 7 oz. cup. You choose the design to customize your dish set. The plate is personalized with the baby’s first and middle name, date of birth, time, weight, and length. 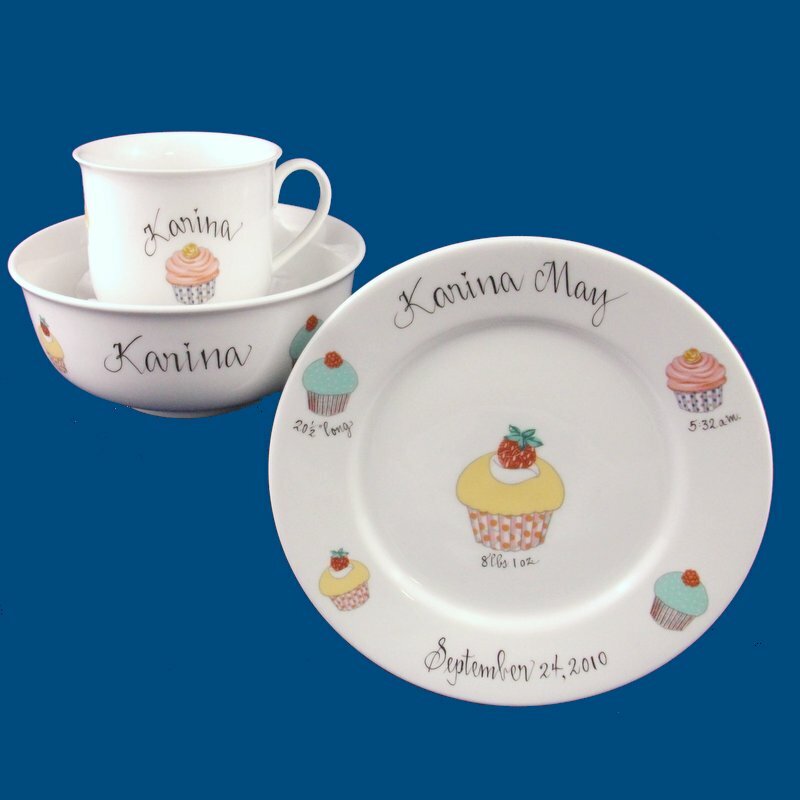 The white porcelain bowl and cup are personalized with the child’s first name only. We hand paint a short personal message on the back of the plate. For example, "Welcome to the world. Love, Nancy and Jeff." These personalized baby dishes are a special baby gift for all occasions. A gift box with tulle ribbon and enclosure card is complimentary with your purchase.